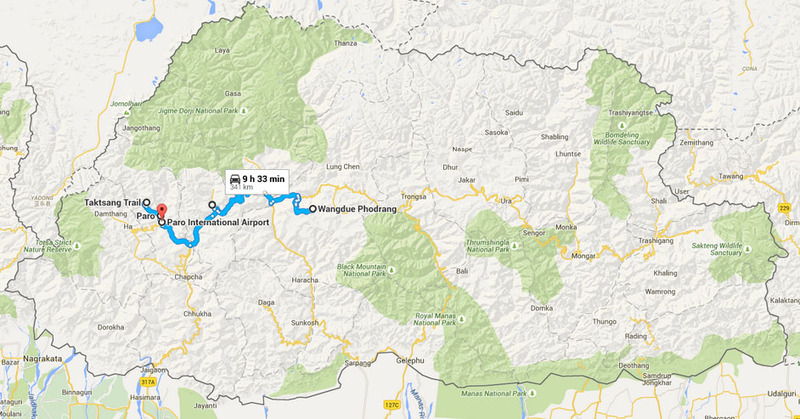 Drive to Drugyal Dzong. The dzong, although in ruins, holds great historical significance. It was from this fortress that the Bhutanese repelled many Tibetan invasions. The name means the victorious Bhutanese. This spot offers a magnificent vista of Mount Chomolhari, "Mountain of Goddess" (Alt. 7329 m). Drive back to Paro Town and have lunch in a local restaurant. Paro Rinpung Dzong. The Dzong was built in 1645 A.D. and houses the district administration offices and local monk body. - Semtokha Dzong. This is the center for language and Cultural Studies. - Memorial Chorten, a huge stupa built in memory of the third King who reigned from 1952-1972. - Traditional Arts and Crafts School - where traditional art is still preserved.